Patras is the largest city in the Peloponnese of Greece, famous for its carnival celebrations. 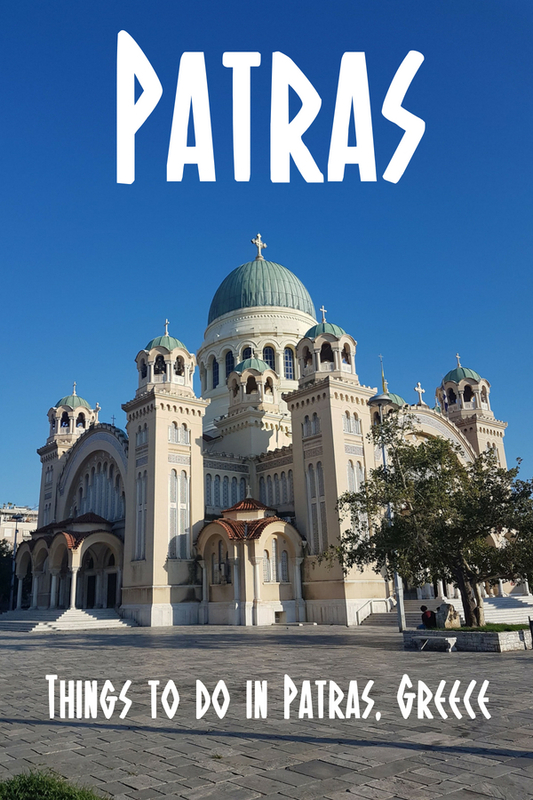 Here's some more things to do in Patras, Greece when visiting. 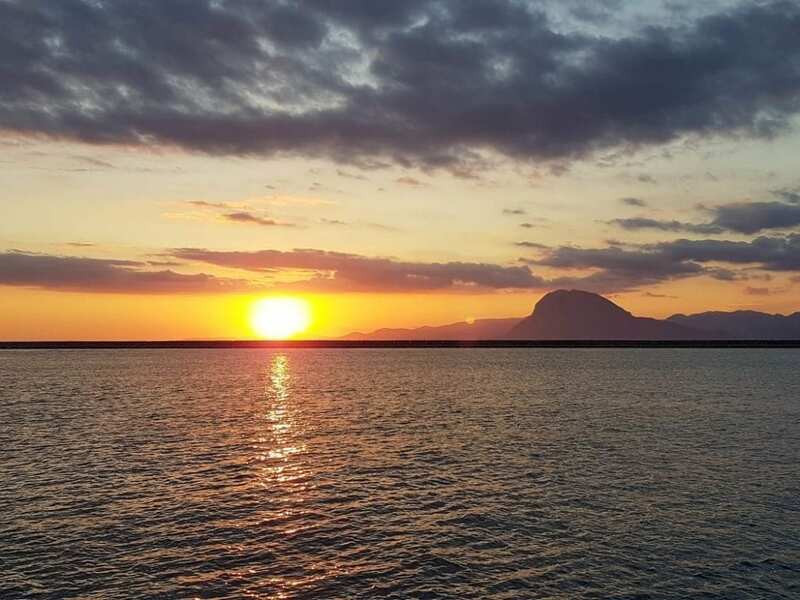 Patras is situated on the north coast of the Peloponnese, right by the bridge which connects the peninsula with the west coast of mainland Greece. I think it's fair to say it's not a tourist destination in itself, but more of a transit point for travellers. You might spend the night in Patras either waiting for a ferry to or from the Ionian islands of Kefalonia or Ithaki, or pass through when driving to or from Delphi. If you're wondering how to get there, take a look here – How to get from Athens Airport to Patras. Still, there's plenty to do in Patras for at least one day, and possibly two if you want a good night out in this city with a lively student vibe. This list of things to do in Patras is by no means extensive, and really covers the main highlights. It's based on my own sightseeing itinerary of Patras when spending a day there waiting for a ferry to Ithaki. 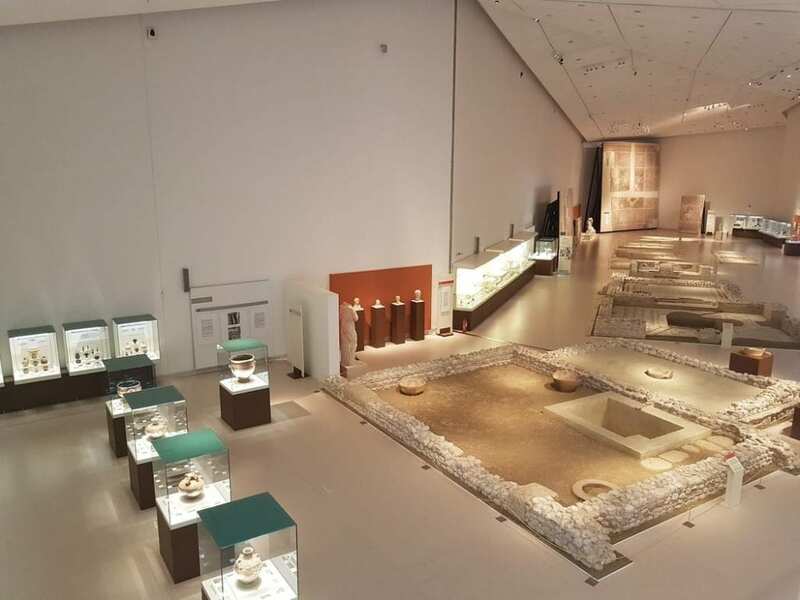 In my opinion, the archaeological museums of Patras is easily one of the best museums in Greece. Perhaps rather controversially, I think it's even better than the Acropolis Museum in Athens! The Patras archaeological museum is a large place, clean, and we'll laid out. All the exhibits are well marked, and and there's plenty of light giving it a modern feel. Visiting here gives a true appreciation for some of the history of Patras. Before visiting, I was blissfully unaware that it was an important city during the Roman / Byzantine era. 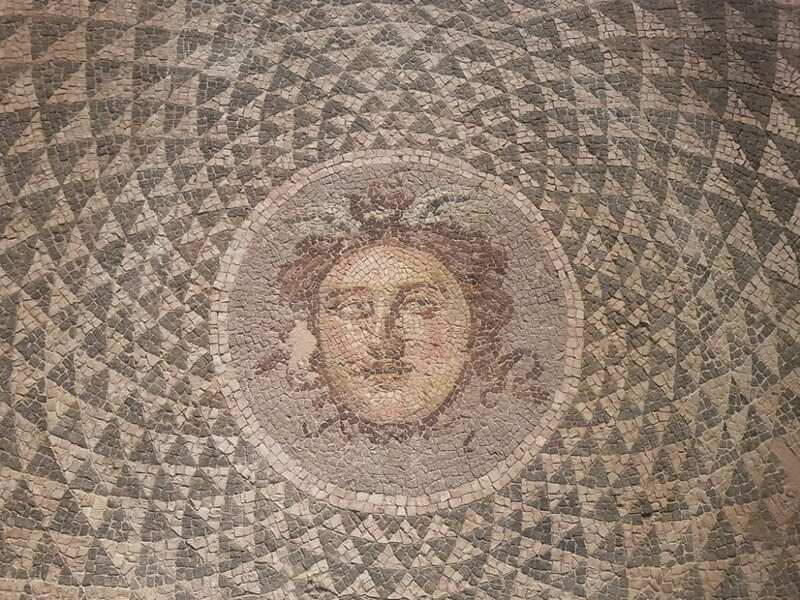 Some of the displays reflect this time, and the Archaeological museum of Patras had some of the best mosaics I've seen to date. If you only have time to do one thing in Patras, then push the museum to the top of you list, and allow about 1.5 hours to walk around. 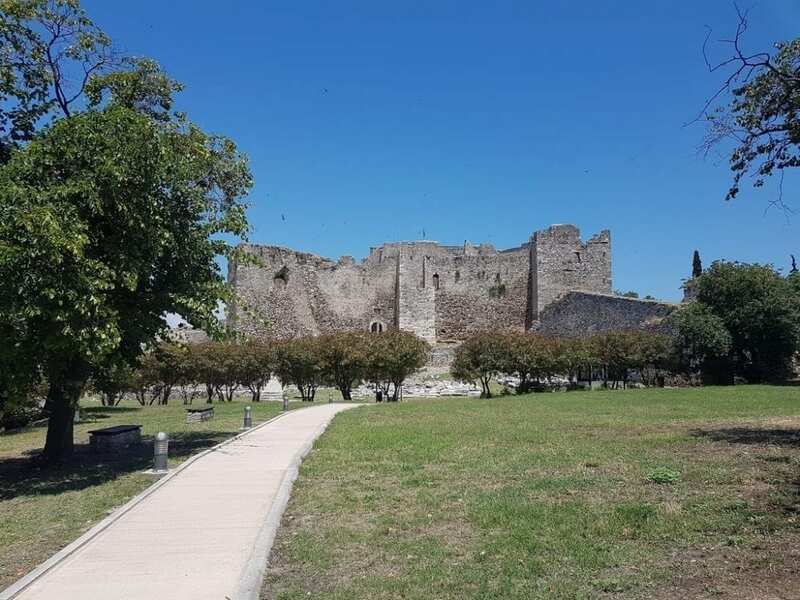 Set up on one of the highest points of the city, Patras Castle is another place you should visit when in town. Entrance here is free, and whilst in some respects it's not the most overwhelming castle you'll have visited, the views from the top out over the city of Patras are worth the walk. It also has several nice green areas, making it a pleasant place to take some time out, have a stroll, something to eat, or simply soak up the beauty and quietness of it all. Allow about half an hour, or as much time as you want if you just want to chill whilst staying in Patras. Just a short walk away from the castle is the Roman Theatre of Patras. It has recently been reconstructed, and now holds small outdoor gigs during the summer months. It doesn't take much time to visit the theatre in Patras and entrance is free, unless you are seeing a concert. 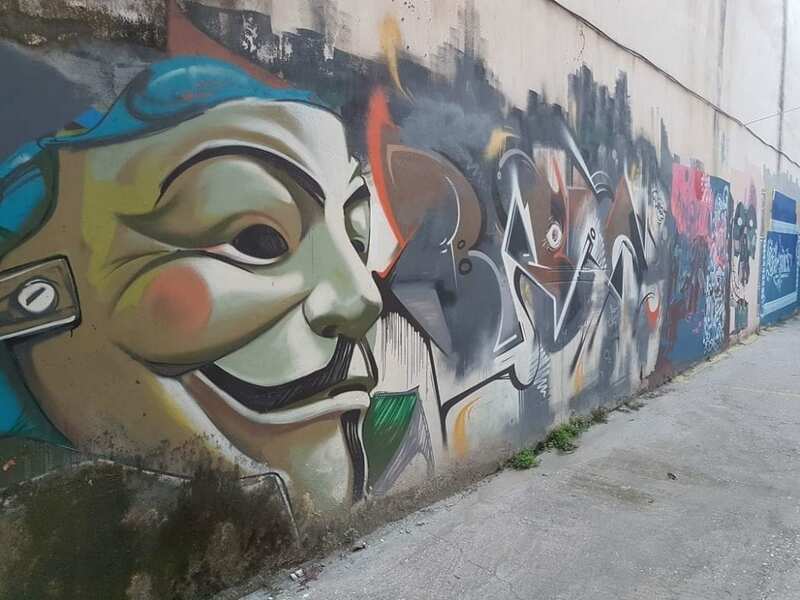 Patras is a student city, and as such has a happening urban vibe which includes street art. I found quite a few pieces just walking between the main places to see in Patras, although I daresay there is a lot more tucked away elsewhere. 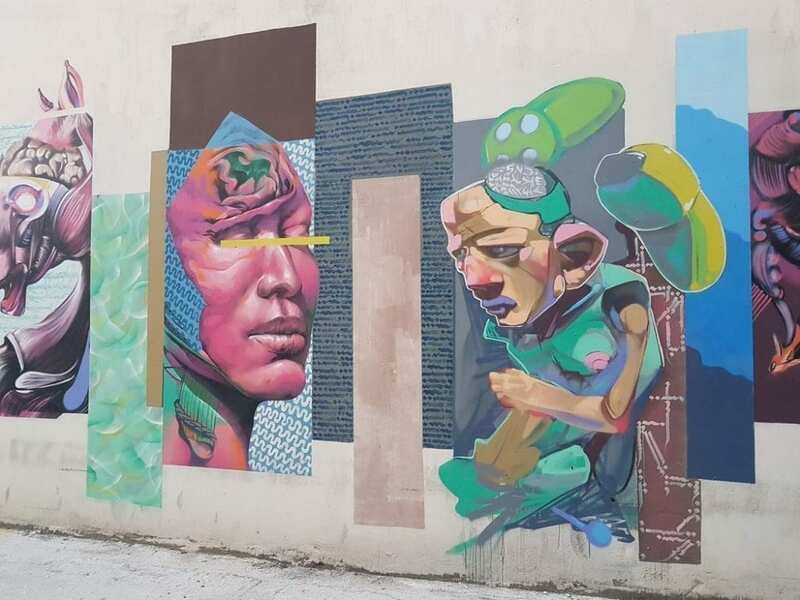 These are just two examples of some of the street art in Patras that I literally stumbled into. Patras has a number of very impressive churches, but I think that St. Andrews church was the best… and probably the biggest! 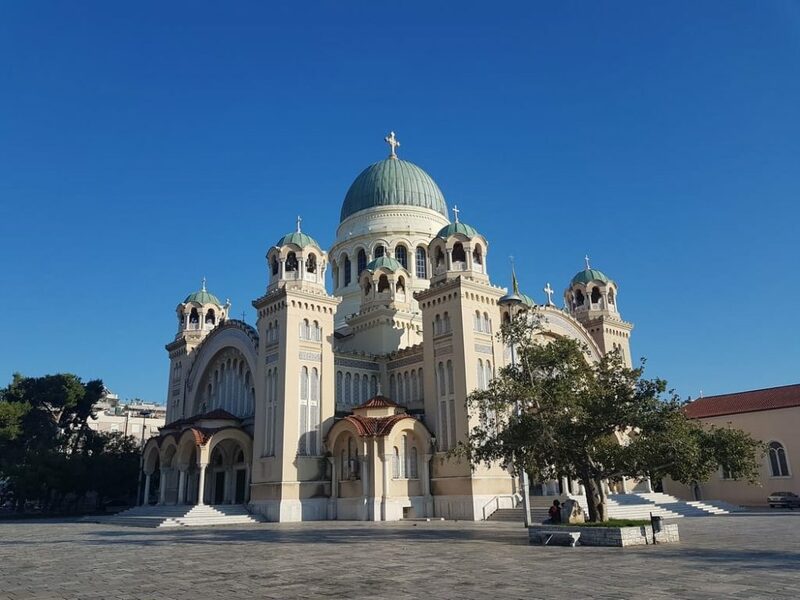 As with all churches in Greece, feel free to walk inside if it's open (and I would guess this one normally is), but be respectful in your dress and of the people worshipping there. If you have time, head down to the port area and catch the sunset. It's always good to take a few moments out as the evening turns to night! Eating at an Ouzeria in the evening is a must-do when visiting Patras. Many of these places don't open until later in the evening though, so if you are from Northern Europe you may need to adjust your body clock to Mediterranean eating times! Just below the castle on Ifestou, a row of small places will open any time between 19.00 and 21.00, and this is where the students and millennials come to hang out. No real place to recommend here – you'll just need to find any one of them that has a table!